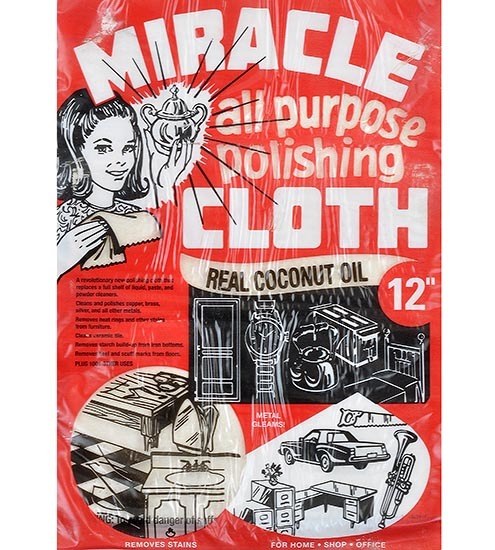 A revolutionary new polishing cloth that replaces a full shelf of liquid, paste, and powder cleaners. Cleans and polishes copper, brass, silver, and other metals. Rmoves heat rings and other stains from furniture. Removes starch build-up from iron bottoms. Removes heel and scuff marks from floors.